Please Join U.S. Senator Ed Markey For His Lynn Town Hall! APRIL AND MAY IMPORTANT UPDATES! April kicks off the start of the state mandated testing schedule. The MCAS 2.0 window for testing runs from the beginning of April through the end of May. At present, we are in a time of uncertainty due to the computer virus that has swept through the district. We expect to hear form the DESE the first week of April as to whether or not we will administer paper-based tests this spring. In any case, packets of information involving MCAS 2.0 expectations and testing schedule will go home as soon as we know. We appreciate your assistance and cooperation in preparing our students for these 21st century skills. It is critical that students get a good night’s sleep, eat a substantial breakfast and arrive to school on time. We have been running Extended Learning Time sessions in math, ELA and science Monday through Saturday. On April 25th we celebrate our third annual anniversary in the beautiful new site. We are very fortunate to have this incredible school as our center for learning, growing and improving. March 27th marked our last Open House for the school year. It was our opportunity to show off our curriculum materials, student projects and content materials for all grades. The final formal invitation into our school will be Thursday April 25th 2019 from 4 PM until 7 PM for our first Summer Programs Fair. As usual, we will post all information electronically. Please continue to provide your feedback to ensure the smooth operations of our school. Thank you for supporting our school by coming out for sports events, parent conferences, and Open House. Remember to pop into a PTO meeting whenever you can. No commitment required; we’d just love to hear from you. We wish you and your family an energizing spring! INTRAMURAL BASKETBALL - Intramural basketball will continue on Tuesdays and Thursdays. A schedule is posted on our Thurgood Marshall Middle School web site as well as in the café and outside the gym. TRACK AND FIELD - Tryouts for Track and Field began on Thursday March 28.. Permission slips were handed out prior to tryouts to be signed by a parent/guardian and returned to the coaches. A schedule of the meets will be posted on our Thurgood Marshall Middle School website. 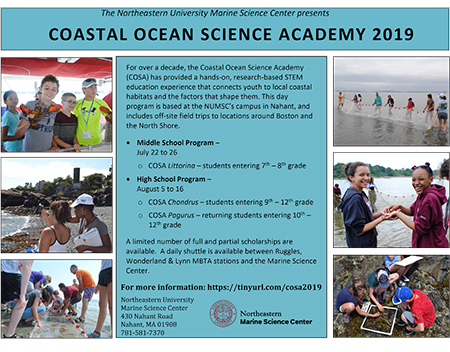 MARINE SCIENCE CENTER PROGRAMS FOR 2019! Please consider joining our PTO program as our students can greatly benefit from your involvement and contributions to the school’s program and its operations. The letter below is to inform you of issues surrounding “vaping”/ “juuling.” (using e-cigarettes). Lynn English High School would like to share information about vaping with our parents and guardians. Vaping is a serious concern for teens across the country. There are misconceptions that it is a “healthy” alternative to smoking when in fact it carries its own risks. Please Download This Letter And Read About The Resources. Thank you for partnering with us on this important topic of public interest. We will continue to work to educate our students in all aspects of adolescent development. In recent days, there have been many news stories circulating on the “Momo Challenge.” The purpose of this letter is to provide information, and encourage you to monitor your children’s use of social media and the internet. The “Momo Challenge” is a new on-line challenge, in which children are contacted through WhatsApp, YouTube Kids and other social media platforms. The challenge encourages children to participate in risky or self-injurious behavior and not tell adults. This disturbing challenge has been debunked as a hoax. We recommend you talk to your children about this challenge in a way that you feel is appropriate for their understanding. We also recommend monitoring what your children are watching on-line to ensure their viewing does not include these harmful messages. Restrict video games and YouTube watching to shared family spaces. We encourage your children to speak with a trusted adult should they have any concerns. 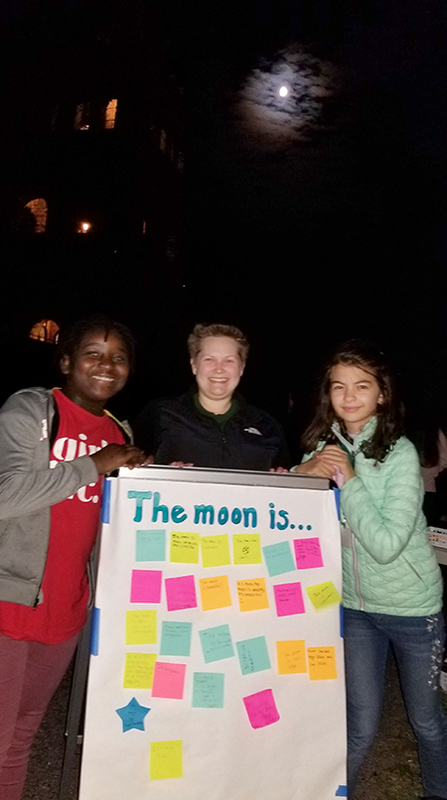 Thank you TMMS Faculty and Families who came out on such a spectacular evening to observe the moon, Saturn and Mars. Who knew High Rock had such impressive views? Thank you Thurgood Marshall Middle School Families for a very successful Open House turn out! We had such a large turn out in the cafeteria that I think next year we’ll have to move the Opening Presentation to the gym! Families were filled with anticipation and curiosity as we kicked of the evening with information regarding Title 1, School Council, PTO, Principal’s Coffee, our School Improvement Plan, and our Advisory Program centered around the themes of community, responsibility and self-awareness. We also introduced our guidance counselors, the social worker, and the nurses. We partnered with our community liaisons such as The New American Center, Upward Bound, The Lynn Community Health Center, and Raw Arts who are focused on building the bridge between school and home. The rest of the evening was an opportunity to feel the day in the life of a middle school student as families followed an abbreviated Day 1 schedule of their students. More Title One Parent Compacts will be sent home with our students. Please read these compacts and commit to uniting with us to improve your child’s education. You will also receive the School Council Nomination forms. Consider serving for a term, fill out your information and return the form to your child’s homeroom. A ballot will follow and we will conduct an official vote in the next two weeks. If School Council or PTO are too official for your liking consider donating an hour or two at our Book Fair. Please contact our librarian, Ms. Julia DeStefano, destafanoj@lynnschools.org or call the main office at 781-477-7360. At our second Open House we will conduct Teacher/Family Conferences. These will occur on January 23, 2019. More information will follow shortly so please stay tuned. MEET OUR NEW STAFF MEMBERS! We’d like to take this opportunity to introduce two new members to our staff. Mr. James Hall, our new Hall Monitor, and Officer Manny Torres, our new School Resource Officer. James rejoined Lynn Public Schools in 2018 as a Campus Monitor. James has been in the education field for over 10 years now holding positions from Physical Education / Health Teacher to Teacher Aid. He specializes in working with adults and children with special needs as well as handling crisis intervention. James has also taken on entrepreneurship operating multiple shoe stores and a clothing brand since 2008. Mr. Hall graduated from the University of Massachusetts Boston in 2006 earning a BA degree in Criminal Justice. He played on the boys basketball team during his time at the University of Massachusetts Boston, playing a major role in winning their conference his senior year. James attended high school in Brunswick, GA where he played football, basketball and ran track. In his leisure he enjoys spending time with his family, traveling and playing basketball. He continuously strives to inspire and mentor young men and women to be successful and encourages them to not allow their history to predict their future. Officer Torres is a Lynn Classical Graduate who served as captain of the baseball team. He went on to becomes a Fitchburg State College Graduate of the Criminal Justice Program, where he also served as captain of their baseball team. Following college, he worked two years as a Corrections Officer for Suffolk County Sheriffs Deptment. He moved on to work two more years as a police officer for the City of Virginia Beach, Virginia. Officer Torres has been a Lynn Police Officer for almost 10 years, having worked for the Departments' Community Liaison Team and understands what it takes to serve his community. We are thrilled to welcome him onto our team at Thurgood Marshall Middle School. Check Out More Summer Photos Under Our "Art and Photo Postings" Tab! VISIT OUR FACEBOOK PAGE FOR PHOTOS AND MORE! Extracurricular clubs are up and running. Kids love these – please encourage students to participate. Families are made aware of extracurricular activities via Newsletter, Connect-Ed Phone Call, Flyer, Open House, Website, PTO and School Council. Spring Teen Drop In Cener And More On The Parks & Recreation Webpage! 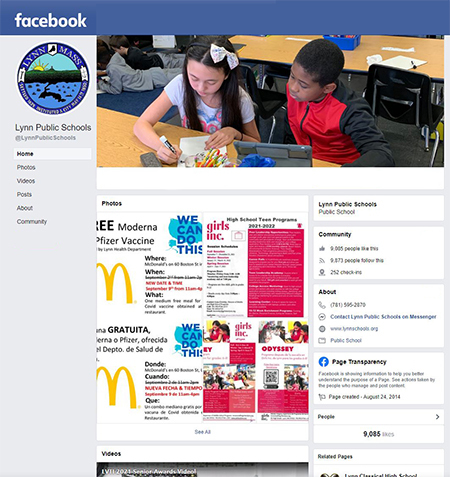 The LPS Facebook Page Has Our Art-Photo Postings, Announcements & More! See Our Homepage For April and May Calendars and Announcements! 2. All-calls go home – be sure your contact information is updated in the system. ANTI-HAZING POLICY - This is a reminder that it is a state requirement to notify families about anti-hazing policies and laws. If you have not yet had a chance to read our handbook, a link to the handbook is listed below, in English & Spanish. The anti-hazing policy and laws are to be found in the 2017-2018 handbook. Hazing applies not only to the school day, but to all extracurricular activities and sports. We thank you for reviewing the district policy and state law about hazing. October is National Bullying Month. This year Thurgood Marshall will host the annual Anti-Violence assembly to hear powerful speakers share personal accounts of the influence violence has had on their lives. STUDENT SUCCESS - Welcome to the 2018-2019 school year! We are looking forward to a productive partnership with you to ensure our children can achieve their highest potential. As partners, we share the responsibility for our children’s success. If you have any questions about the rules and expectations, please feel free to contact me or to discuss them with your child’s teacher. It is very important that you and your child are fully informed regarding standards related to appropriate behavior for a safe and productive school year. Please feel free to review the Student/Parent Handbook which can be accessed on the lynnschools.org website. SCHOOL SUPPLY LIST - Dear Parents/Guardians and Students, We hope that you are enjoying your summer vacation! Please see the list below of recommended school supplies for all students at TMMS. August This is an exciting time of the year for our school community. After lots of planning and organizing, we will kick off our third full school year in the new building. We kicked off the school year with the return of the GE Foundation and Celtics Organization Brilliant Career Pathways for our 8th grade students. We are so honored and privileged to have this opportunity to expose our students to the incredible world of STEM (Science, Technology Engineering and Math) programming. Extracurricular clubs kicked off with lots of enthusiasm and excitement! November is a month packed with sports, extracurricular club events, holidays, and school events. On November 5th we conduct our annual Fall Walk to raise money for our Student Activities Fund, which defrays costs of future field trips, dances, and 8th grade activity week. We also use these funds to purchase snacks and materials for after school and Saturday programming. Remember we have a handful of days off from school in November. There is no school on Tuesday November 6th, Monday November 11th and there will be an Early Release time for Thanksgiving at 11:45 on Wednesday November 21st. Lunches will not be served on that day. No School on Thursday November 22nd and Friday November 23rd. We hope you have healthy and safe holiday weekends. If ever you have any questions about our busy schedule, please contact your child’s guidance counselor in the main office. February Our 7th Annual Fall Walk and More! March roared in like a lion (as usual). We experienced our first significant snowstorm the first weekend in March. We are so grateful to have such a beautiful facility to which to return so our school can continue to actively plan and prepare for the MCAS 2.0 computer-based state assessment for all grades 6-8. Over the February vacation week, we had a terrific ELA Acceleration camp that gave our students that little bit of extra work to prepare them for the rigor of the test. We will be offering the same acceleration camp over the April vacation for preparation of the math testing. We also offer Extended Learning Time for ELA, math and 8th Grade science after school and on Saturdays. Please ask your child to take advantage of the extra time on learning we are offering to prepare them for these rigorous tests. Due to the number of devices to test each student, the MCAS ELA test sessions will occur both before and after the April vacation. Each cluster will receive an automated phone call sharing the exact test dates and times for your students. The MCAS 2.0 math testing logistics will take place during the first three weeks of May. The computer-based MCAS Science exam - for grade 8 students only - will occur mid-May for clusters 5, 6, 7, and 9. Please look for informational packets that will go home with the students in April to explain exactly what the state test will entail. We will post all information as well including our MCAS 2.0 schedule for all clusters. As always, your feedback is critical to the smooth operations of our school. Finally, our School Council is planning a community events Health Fair one Saturday either in April or May of 2019. The general idea is to connect our family community with businesses and organization in our local communities. We will also be offering free resources and workshops. More information on that to come! Feel free to stop by either the School Council planning meeting or PTO on March 12th to share your ideas and input. April April kicks off the start of the state mandated testing schedule. The MCAS 2.0 window for testing runs from the beginning of April through the end of May. At present, we are in a time of uncertainty due to the computer virus that has swept through the district. It is an honor and a privilege to serve as principal of a staff and student body committed to personal growth and academic achievement. Our primary goal is to ensure that every student is provided the highest quality of education possible in a safe and supportive learning environment. Our mission at TMMS is to instill in our students the DREAM principles that guide our daily interactions through the development of dignity, respect, effort, achievement and motivation. We believe that by adhering to the basic ideas embedded in these five concepts, our students will become well-rounded and civic-minded individuals. Through hard work and dedication, we can accomplish our dream of becoming a high performing middle school. • Teachers will engage in professional collaborative planning to improve instructional practices that will increase cognitive engagement for all students with the implementation of data informed instructional strategies. Focus areas include promoting higher order thinking skills and creating diverse learning opportunities for students to engage in rigorous learning tasks. • All staff will implement an advisory curriculum that includes personal goal setting, commitment to social responsibility, and sustained silent reading. The goal of Advisory is two-fold: to build personal relationships where students start to learn their responsibility to self and the community and to increase the opportunity for pleasure reading by making connections to text in a fun, personal way. Advisories are a supportive, non-academic setting where students can connect learning with life. • The Principal will implement a Principal’s Coffee once a quarter to invite community members to discuss school initiatives, offer feedback and share questions or concerns. School and family partnerships are central to improving academic achievement of our students. We encourage families to get involved in students' academic lives. Please join us in making this the very best experience for your children. Being informed will help. Throughout the year our school website, school calendar, and newsletters will provide you with the most current information. We look forward to working together to ensure that all of our students meet their full potential. 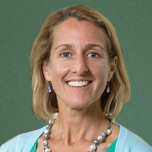 A school council is a representative, school building-based committee composed of the principal, parents, teachers, community members and, at the secondary level, students, required to be established by each school pursuant to Massachusetts General Laws Chapter 71, Section 59C. It is important to note the School Council plays an advisory role in assisting the building principal to organize and implement a School Improvement Plan which not only addresses the areas in which the school intends to comply with the requirements of the Educational Reform Act, but also how the school intends to meet those system-wide goals and policies adopted by the school committee. Membership will consist of the principal, teachers, parents, students and community members. Select the "Agenda" tab for a complete list view of events.